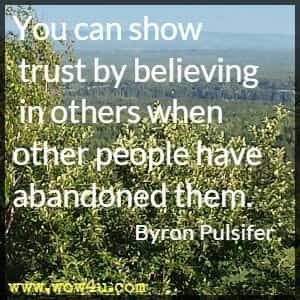 Be encouraged by these trust quotes. 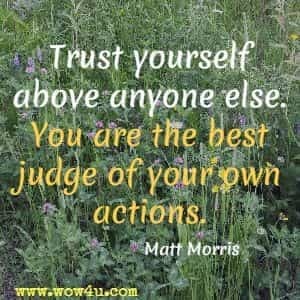 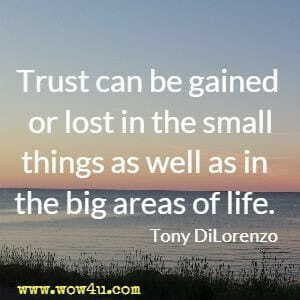 ... trust removes an enormous source of stress because it allows you to act with incomplete information. 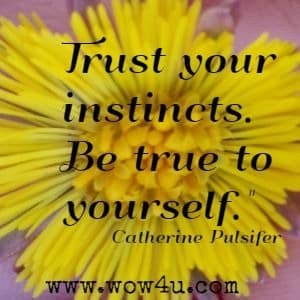 John Gottman PhD; Nan Silver What Makes Love Last? 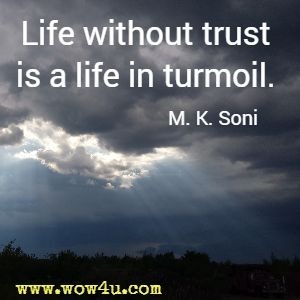 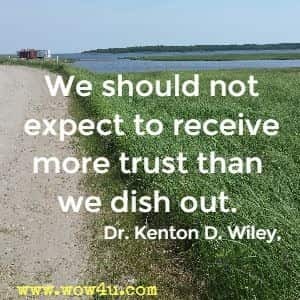 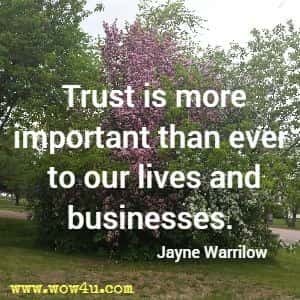 We should not expect to receive more trust than we dish out. 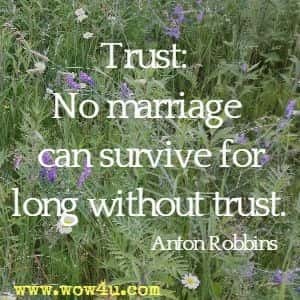 Dr. Kenton D. Wiley, I Know I'm Married But. . .